We always have a great range of new and used Aluminium Doors and Windows in many different sizes and colours. Simply let us know the size and colour that you would like and we'll sort it for you. We stock the Dowell brand of windows and have in stock most standard sized windows and doors in black, white and ultra silver. 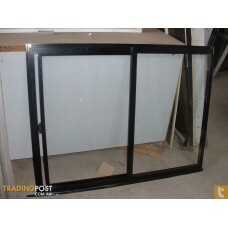 We can order any non standard sized windows and doors and also security screens to match these products. Below we have some Great Buys on a few selected items. These are current and changed regularly.